Goals are essential to me because they offer me a sense of achievement. When I set a specific goal and complete it, I feel purpose. Setting a specific time period to complete my goals allows me to work at them over time as I build momentum. Once I complete a goal I feel a great sense of accomplishment. Setting and completing goals propels me forward. My goals allow me to accomplish more in life. Once I set one goal and meet it, the feeling I get pushes me forward in my entire life. In doing so, I gain the power of passion and motivation which gives me the confidence to accomplish anything I set my mind to. My goals give me a meaningful purpose, which inspires and motivates me. 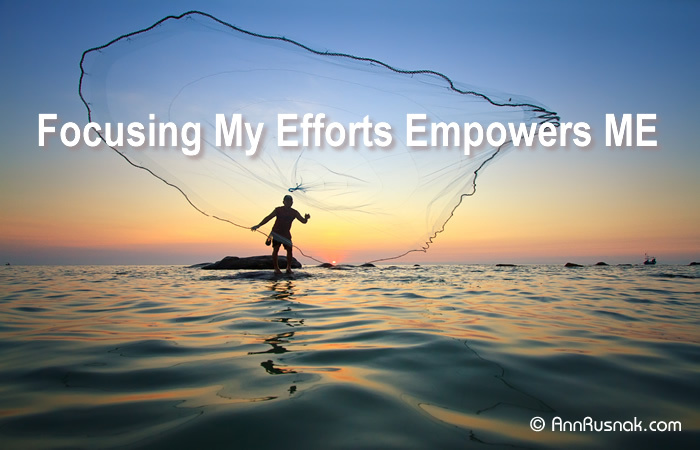 This motivation helps me enhance my weaknesses and strengthen my strengths. And in completing each goal, big or small, I feel a sense of pride and happiness that uplifts me in unimaginable ways. What goals do I currently have in my life? How do my goals motivate me? How do I feel when I complete a goal? Life is a mysterious and wonderful experience. 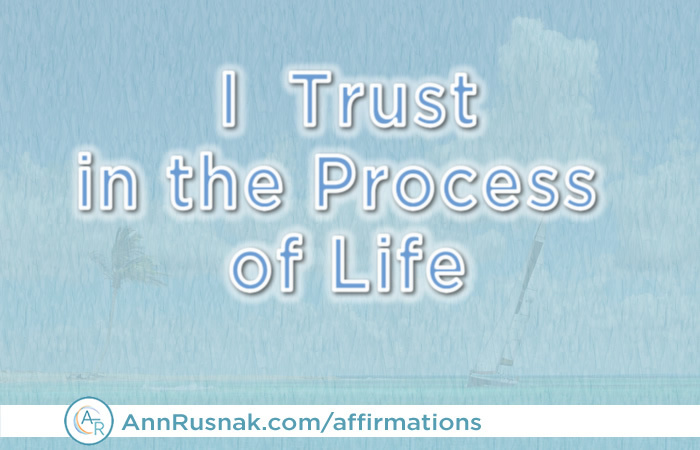 The process of life might be challenging to fully understand, but I trust in it completely. There is a higher power that guides my life and experiences. I am comfortable with this idea. I feel a responsibility to do my best to make good and intelligent decisions. However, I also realize that I must let go and flow with my destiny. I know where I am going, and arriving at the right destination is inevitable. When I am feeling confused, frustrated, or challenged, I remind myself that this is just part of the journey. 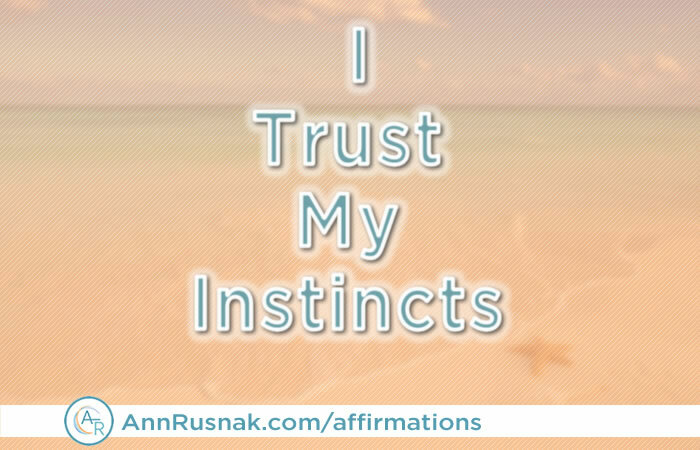 These challenging emotions are gifts, specifically designed to help me grow into the person I am meant to be. Letting go and trusting makes my life even easier. I feel light and relaxed when I trust the process of life. My life is more amazing each and every day. My higher power speaks to me and gently shows me the way. My only obligation is to listen to that voice and make the right decisions. I am open to the great plans that the universe has in store for me. I grow more excited each day, waiting to see how my life unfolds. Today, I am free of struggle and uncertainty. I feel confident that my life is on the right path. I trust the process of life. In what ways do I struggle unnecessarily? How can I be more accepting of my life and the path that I am on? What wonderful things has life brought me so far? My life is a wondrous journey. I am pleased with the pathway my life takes. In an average day, I experience some unexpected twists and turns in the road. I accept these alterations for what they are: unplanned events that bring wisdom, understanding, and sometimes even joy, elation, and wonder. I am blessed to have people who respect me, love me, and look forward to seeing me. I create a comfortable environment to relax in at home and a motivating atmosphere that allows me to be productive at work. My home and work spaces draw me in and make me feel connected to others in incredible ways. Although I am unable to predict the paths my life takes on any given day, I can say without hesitation that my life is truly a wondrous journey. Sometimes, I am unaware of the choices I should make or which path to take. Yet I accept this knowledge. I see diversions in my life as necessary to my journey. Just as the traveler who is pleasantly surprised by an unexpected turn in the road, I notice the wonders that I encounter when experiencing unplanned events. Today, I vow to notice the fantastic and incredible elements of my day. I plan to experience everything with exuberance and joy. My life is an awesome journey and I want to be aware of each moment to experience the wondrous events. How do I feel about my life? 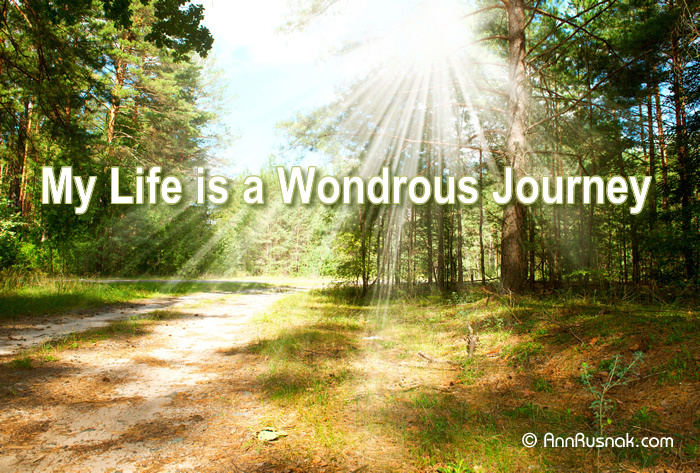 Am I willing to embrace the diversions in life and find something wonderful about them? What can I do to ensure that I see my life as a journey that is worthwhile, no matter where it takes me each day? I believe that laughter is the best medicine for any ailment known to mankind. 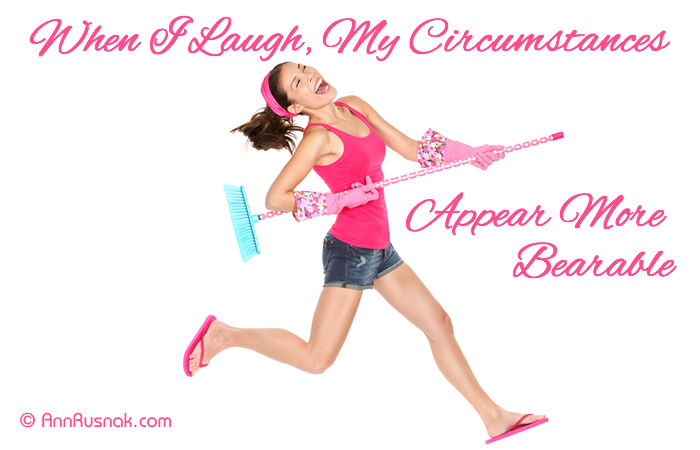 My circumstances are more bearable when I allow myself to laugh even when my heart is heavy. Laughter fills the soul with joy, and that joy permeates through any challenge I am facing. When I feel sad or broken-hearted, I spend very little time being consumed by those emotions. Instead, I use the first opportunity I get to find a source of laughter. I switch to the cable channel that shows my favorite comedy re-runs, because I know they can lift my spirit. I rely on the company of good friends and family members to provide opportunities to laugh. Regardless of the time of day or my physical location, there are certain people I can always count on to induce my laughter. 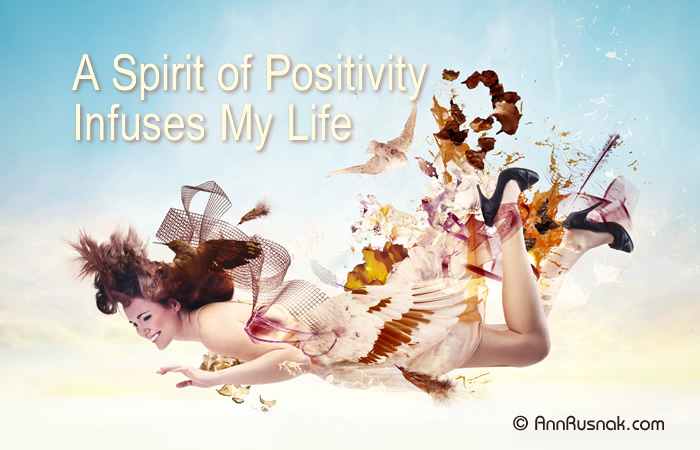 When I laugh, I feel a sense of clarity, which allows me to focus on finding a solution to the challenge I am facing. A therapeutic laugh takes my mind off the challenge itself and I start thinking about how to eliminate it. Today, I attest to the wonderful power of laughter. I continue to make laughter a part of my daily life. Humor helps me handle any difficult situations that may come my way. I can handle the variances of life when I walk alongside laughter. Do I encourage others who seem troubled to take a break and seek out laughter? What is my next move if I realize that laughter is not relieving the burden of a situation? Do I express my gratitude to those that support and help me by making me laugh?